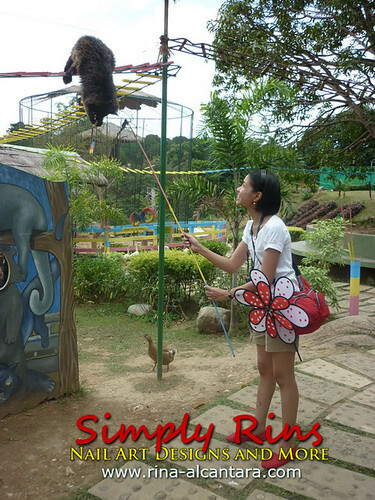 Part of our pre-valentine's date is a visit to Zoocobia Fun Zoo in Clark, Pampanga. My partner and I were actually at the Hot Air Balloon Fiesta earlier that day and before lunchtime, the heat was beginning to get unbearable and we wanted to maximize (a little) our stay in Pampanga, so we decided see Zoocobia. We found a booth inside the fiesta grounds offering a discounted entrance rate that included a free shuttle ride going to the fun zoo and back to the Hot Air Balloon area. Entrance to Zoocobia Fun Zoo. Animals found in Zoocobia is very limited. 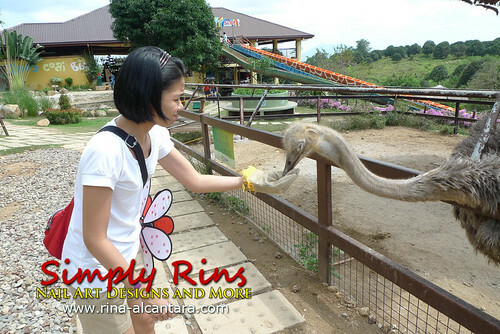 However, the fun zoo offers activities and various opportunities to interact with some of the animals. The place will be more appreciated by kids. But since I consider myself a kid (sometimes, haha! ), my partner and I tried the attractions in Zoocobia. 1. Watch the animal show at "The Barn". There's an animal show that you can catch during your visit to Zoocobia. Various animals will showcase several tricks for you. 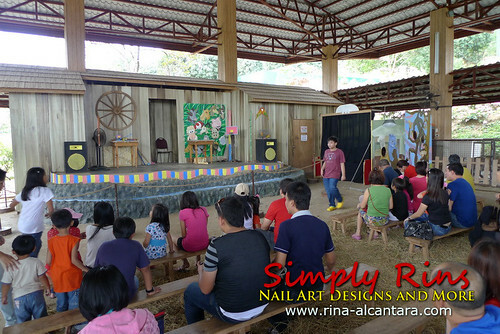 A monkey, parokeets, and a poodle are among the animals that will entertain you during the show. 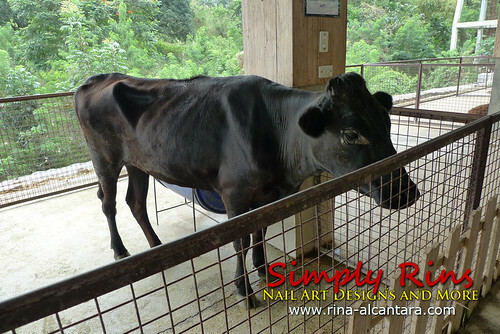 For Php20, you can feed the goats with a small bottle of milk! And yes, those are my Betty Boop nails! 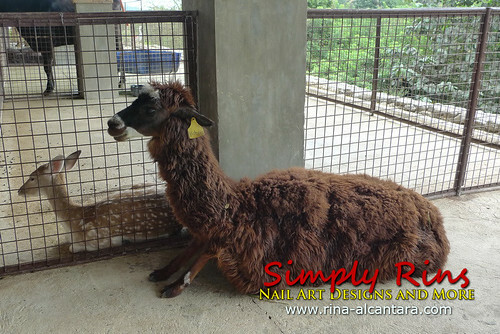 This is my favorite goat among the 3 others inside the fence. This one would really reach for the milk bottle and will play tug-of-war with you! Or perhaps he was just hungry? This is a bearcat and I fed him half a banana for Php20. We asked the caretaker if there's a chance these bearcats will jump to the ground. Apparently, these adorable creatures can't survive on the ground. So they're moving freely above our heads! So just make sure you watch out for poo poos! 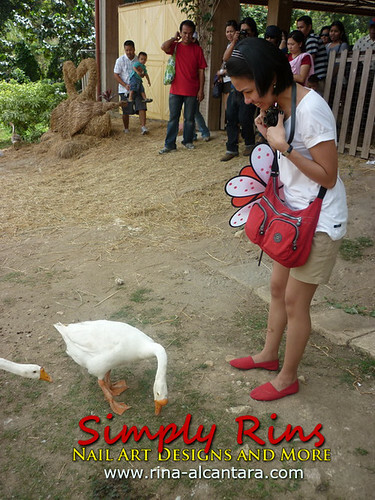 This ostrich continuously pecked my hand for some food pellets! 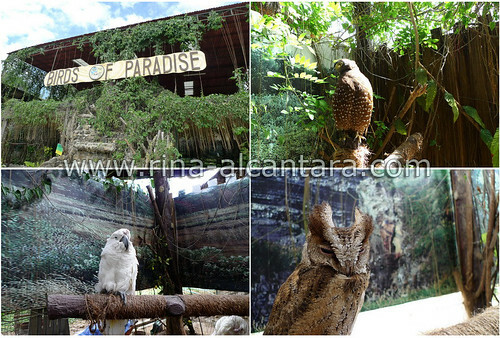 For Php20, you'll get to experience feeding this gigantic bird. Don't worry, the caretaker will give you a sturdy glove to protect your hand. Just be careful that the ostrich can't peck away your glove! 3. Go down the giant slide! The bottom of the slide is filled with hay to catch your fall. We didn't try this one. I think these slides are more for kids. 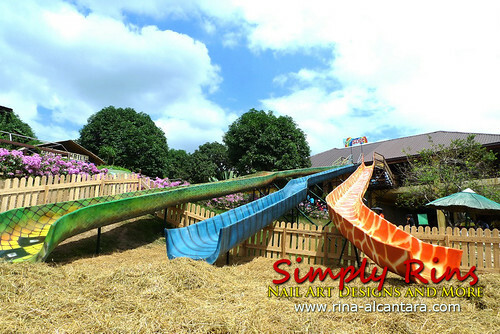 If you will allow your kid/ss to go down one of these slides, you may want to standby the bottom just to make sure your kid/s will have a safe landing. 4. Enjoy the company of freely lurking animals. This goose pecked my foot! 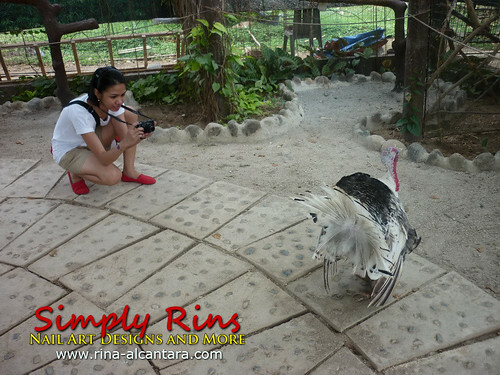 This turkey was lurking inside the "Birds Paradise" and it was as if he wanted us to take his picture! 5. 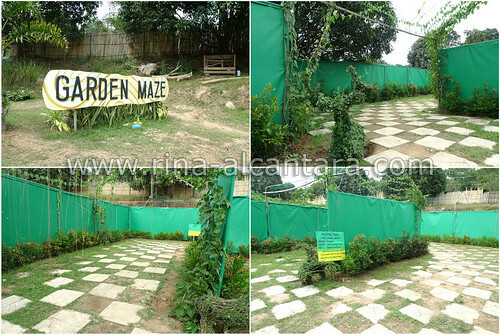 Find your way out inside the Garden Maze. While you're finding your way out this small maze, you'll be accompanied by animal topiaries. Unfortunately, it seems they're not well maintained because during our visit, we could hardly recognize what animal the plant represents. 6. Experience the Zooc Ride! This is a MUST! The Zooc is a gravity car patterned from the luge in Singapore. The track is approximately 400 meters and is inclined downward. The single seating car has brakes for control. The front handle can also be maneuvered to the right or left. 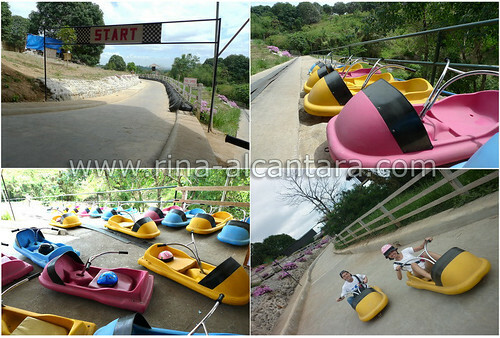 The Zooc ride costs Php100 for a single run. Meet these birds up close and personal in Birds Paradise. This camel was taking a pee when I had my picture taken with him! A deer and uhm ... I forgot what kind of animal is the other one. 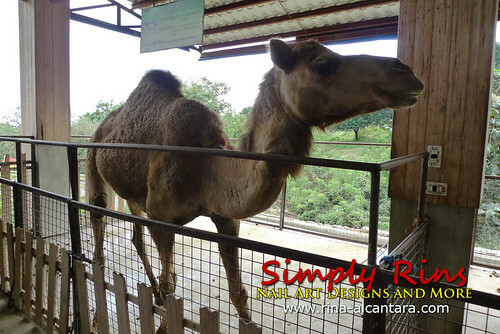 If you get to visit Pampanga, you may want to take your kids at Zoocobia Fun Zoo. There's a restaurant within the zoo if you get hungry. Entrance fee to Zoocobia is priced at Php274 as of this post. There is a souvenir shop across the entrance. It's filled with various stuffed toy animals. I wanted to buy one but I thought Php200 was a bit expensive so I just took photos. Some souvenir toys you can take home from Zoocobia Fun Zoo. Oh wow! My parents are actually in Pampanga right now,I wish I could go..Next time I'm in PI I will check out this place! Thanks for posting! 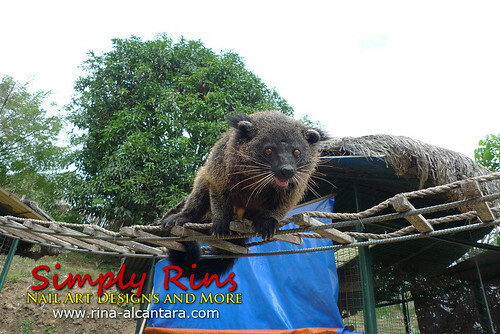 To nail crazy, the bearcat is cute noh? I just don't know if it is friendly but it looks like it as they allow it to move freely. Hello. How much was the entrance to zoocobia? 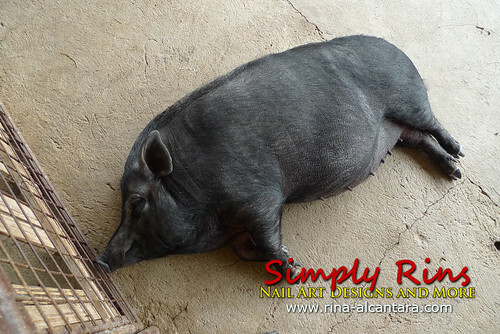 this are all common animals most of it, we have it on our backyard, and ang mahal pa ng entrance. The value of putting in the high tensile electric fence of about 4 strands is ready 50% less than the fee of installing a barbed twine fence of 4 strands and 30% less than the price putting in woven cord fence. Extra so, the excessive tensile electric powered fence calls for simplest a mild amount of upkeep like more.